Although largely inhabited by the Seminole Indians of Florida at the time, it was Ponce de León's quest for the mythical Fountain of Youth in 1513 that led to the European discovery of Florida. Today, Florida is best known as a vacation paradise offering visitors fun-in-the-sun at famous Florida beaches dotting miles of shoreline - at Daytona, Miami, Fort Lauderdale, the Florida Keys - and dozens off other top hot spots while also serving as a magnet for college students on spring break. However, it is family-friendly Florida that remains its most popular destination - as millions each year flock to Orlando to visit nearby Disney World and Epcot Center along with an additional big draw at the Kennedy Space Center. It's important to note that the Sunshine State at 447 miles in length is -- surprise! -- a lot more than Orlando and Miami. In fact, often making the list of Top Ten Florida tourist attractions each year are places like historic St Augustine, the oldest occupied (and arguably the most charming) European settlement in the US, where horse-drawn carriage rides and gaslit streets are only part of the draw. Watch its Spanish past come alive in historic forts and houses coupled with a colorful trip back in time at the Pirate & Treasure Museum. include historic St. Augustine (middle) and the ornate beauty of the Ringling Complex in Sarasota (right). More Florida top spots? They include Amelia Island (almost on the border with Georgia) where more historic charm awaits along the 13 miles of some of America's most beautiful barrier island beaches. Here at one time or another, the French, Spanish and English all laid claim to the island, and today several historic houses serve as wonderful bed & breakfast accommodations for visitors. Sarasota, too, always deserves a mention -- if only for its ties to 19th century circus baron John Ringling. Today, the Ringling Circus Complex is an 'only-in-America' mix of European art exhibition and circus museum. Plan to spend at least a day at the 66-acre estate that also includes the Ringling's outrageously ornate neo-Renaissance home as well as acres of landscaped grounds and flower gardens. 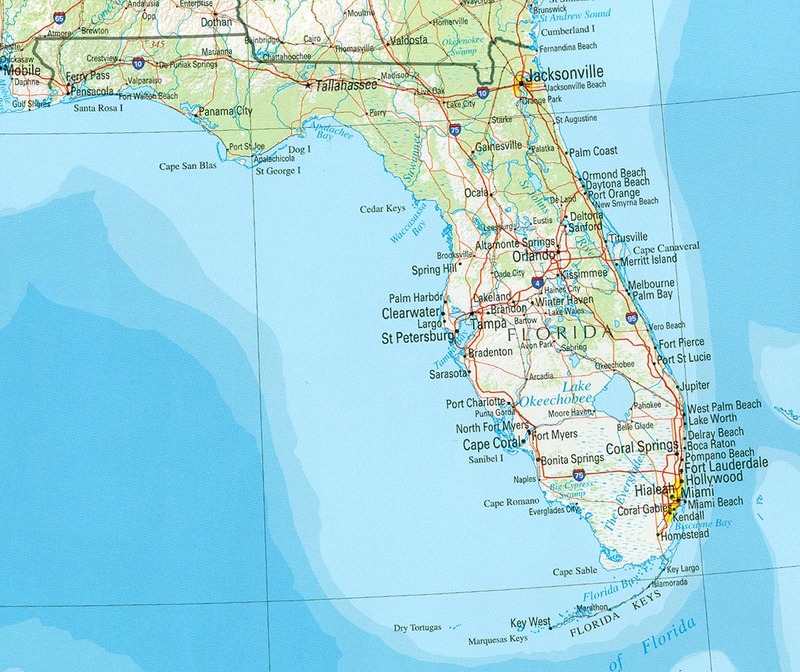 Visit Florida - See the entire Sunshine State laid out with precision including beaches, major attractions, hotels, restaurants, how to get there and get around, maps and pictures, special interest features including Florida for kids. Coastal East Coast : Florida - The complete road tour from Jacksonville to Key West with things to see and do along the way.